The humpback whale "heat run" is among the more dramatic events in the wild kingdom. The female rolls over at the surface, slaps her pectoral fins to signal she's ready; she then swims off with as many as 10 male leviathans in close pursuit while fighting for the right to her affections. It's an pic clash between 40-ton mammals who ram and even leap and crash down upon one another in a mating ritual in which there's only one victor. Roger Munns has witnessed this first-hand. The renowned videographer placed himself in the middle of this furious episode to obtain footage for BBC's recent "LIFE" series, which has gone to DVD and will re-air this summer on the Animal Planet. Munns, who handled the underwater shooting, and his crew members are the first to have successfully captured an entire heat-run sequence on film. He was asked to recall the experience and whether he feared for his life. "There was adrenaline pumping, that's for sure," he replied. "Each of the whales is about 500 times my weight and all of the whales only had one thing on their mind. The best way to describe the experience is to imagine standing on the freeway facing the oncoming traffic and having 8-10 trucks hurtling out of the gloom toward you. "My main fear was that such single-mindedness would mean that the whales wouldn't see me or wouldn't care and I would get knocked or banged by a fin or fluke. I almost got into trouble at one point when I was out of air and looking to the surface. "I started kicking and looked up only to see a big male overhead coming straight down towards me. Not what you want to see when your lungs are bursting. Luckily he passed in front of me and didn't block my route to the surface but I'll admit to being a little concerned for a moment." The footage was captured off Tonga. Munns and his team spent 24 days there. They made lots of dry runs but found a heat run developing on the 17th day. Munns used no scuba gear, only a mask. 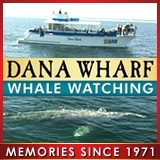 The technique was to get in front of the heat run, dive from the boat and film the whales as they passed.